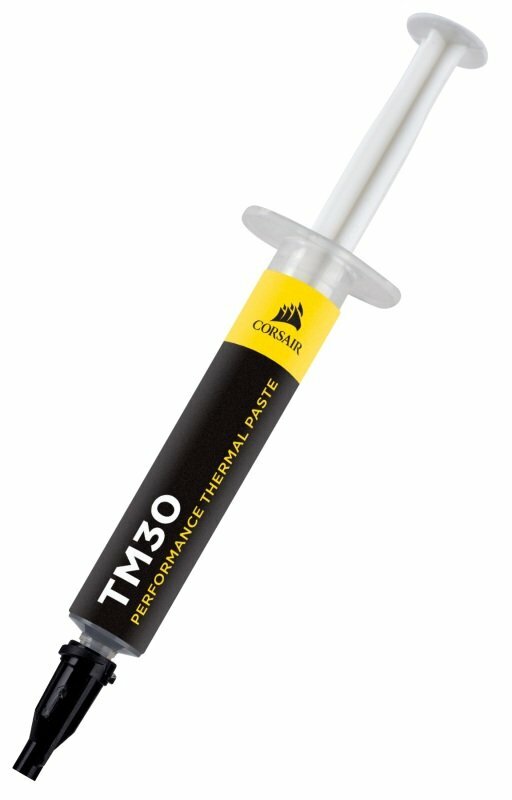 CORSAIR TM30's low-viscosity allows it to easily fill microscopic abrasions and channels for peak thermal transfer. Once installed, CORSAIR TM30's high-stability liquid compound lasts for years with no drying, cracking or change in consistency. CORSAIR TM30 thermal paste helps you push your PC to its limit, with a low-viscosity zinc oxide thermal material that's easy to apply. TM30's ultra-low thermal impedance ensures high-efficiency heat transfer between your hardware and cooler, lowering temperatures and allowing for higher clock speeds. 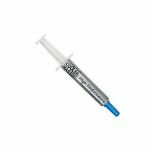 Each syringe contains enough TM30 for multiple standard CPU applications, and once installed, TM30 lasts for years with no drying, cracking or thermal degradation. Whether you use liquid or air cooling, CORSAIR TM30 thermal paste is ready to keep your PC cool under pressure and handle the hottest CPUs and GPUs with ease.